Over the decades Radiohead, like most good bands, has changed its sound from album to album. The range of its work (no, not just “sad,” “sadder,” and “saddest,” dad) can be hard to describe succinctly. Fortunately for all of us, the internet has solved this problem in the way the internet solves problems best: smashing pop culture together in an unlikely mix. 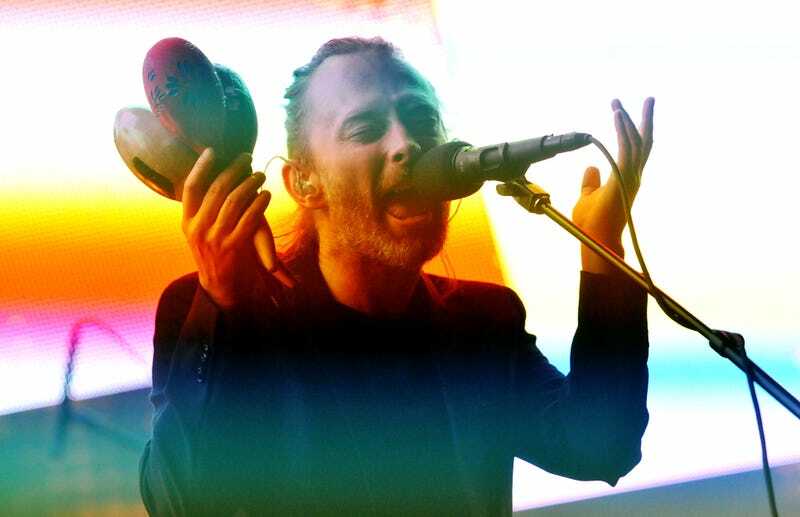 From Malcom In The Middle and Seinfeld to Bojack Horseman and, of course, The Simpsons, enterprising artists have birthed a new, very specific genre of videos in which Radiohead’s discography is described with album-encapsulating clips from popular TV shows. Take, for example, a Spongebob Squarepants video with on-the-nose choices showing a violin-playing character for A Moon Shaped Pool (there sure are a lot of strings on that record) and another stuck in traffic, looking sad, for OK Computer (modern life is a bummer, huh?). If ol’ Spongebob doesn’t do it for you, though, there are as many other TV shows to choose from as you can imagine. The video for Bojack Horseman uses a few more elaborate snippets (and some of the series’ best musical jokes) to draw comparisons. The Simpsons mix works well, too, probably because it has so much material to mine. One of the best uses Flight Of The Conchords, which is maybe cheating a bit since it offers such a wealth of very apt musical parodies. And the list goes on and on (and on). In a year’s time every show ever made will probably have been incorporated into this ongoing project, making it easier than ever for Radiohead fans to share their love of the band (something they usually never ever do) with others.